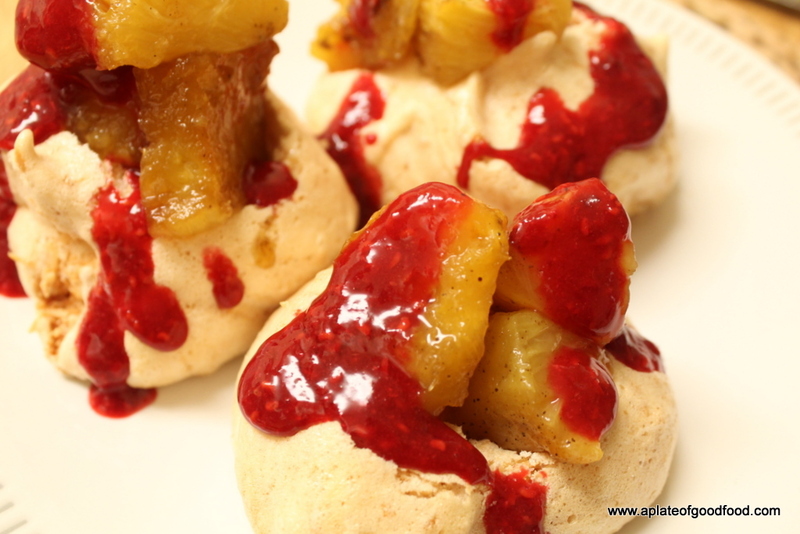 A very simple recipe with a delicious outcome. Roasting the pineapple takes it to a whole new level. The addition of dessicated coconut to the meringue mix gives it a lovely chewy texture with a nutty flavour almost converting them into coconut macaroons. 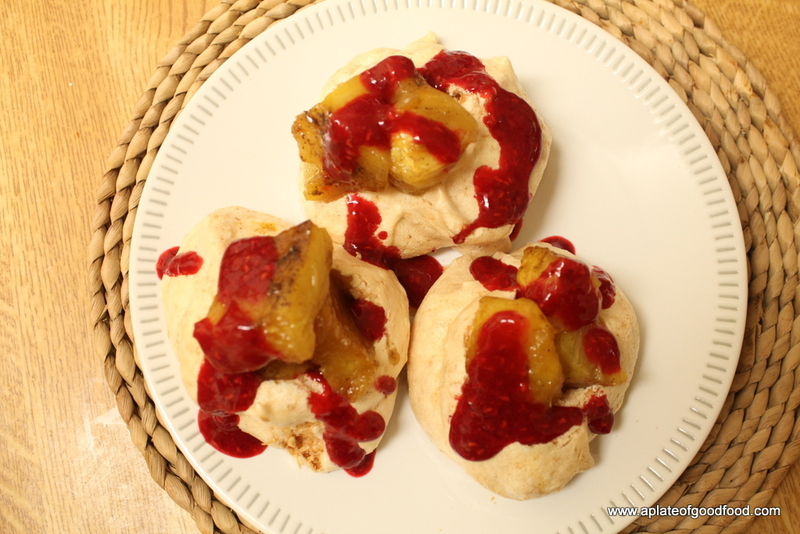 In fact, in spite of using egg whites from 2 large eggs, there were quite a few meringues left over that we later consumed on their own with coffee, really tasty! Remove the pineapple’s skin and cut it into quarters, cutting away the core. 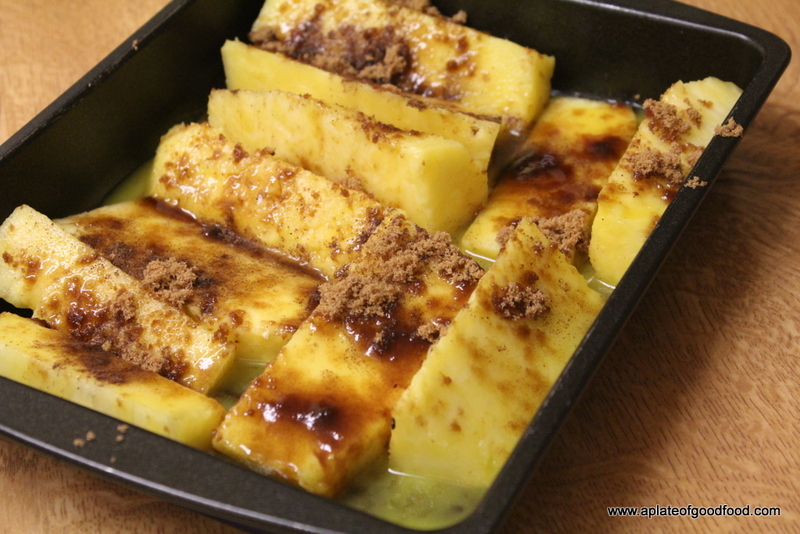 Put it in a baking tray with the sugar, spices and orange juice. Bake in an oven preheated to 160 degrees Centigrade for an hour. What you get in the end are lovely soft caramelised pieces of pineapple sweetened by the sugar but with a tartness from the orange juice. 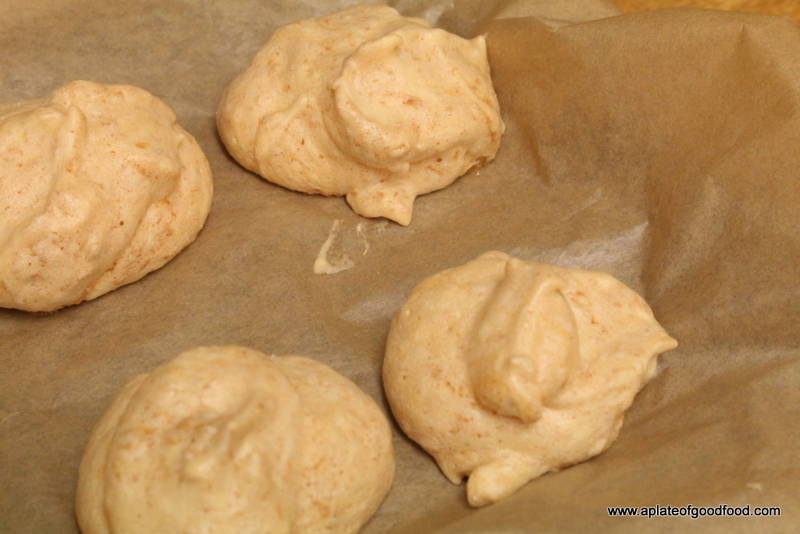 To make the meringues, whisk the egg whites until soft peaks form. Add half the caster sugar and whisk again. Add the rest of the caster sugar and whisk until the mix is thick and glossy. Fold in the icing sugar and then the dessicated coconut. Drop spoonfuls of the mix onto a lined baking sheet and bake in an oven preheated to 130 degrees Centigrade for about 1.5 hours. 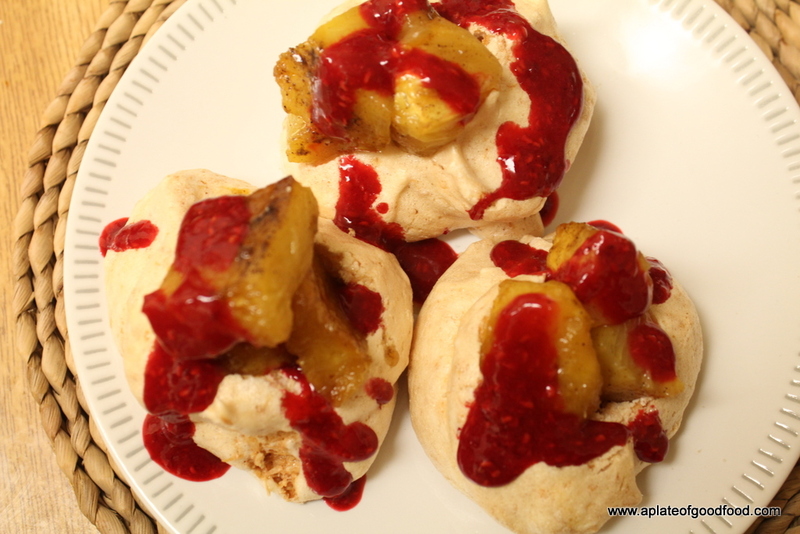 To serve, I sliced the pineapple into smaller pieces, crushed the centre of the meringues, placed a few pineapple slices on each and poured over the raspberry sauce.